Back to school combined with the season’s imminent change equals a skin freak out, no doubt about it. Sometimes it’s nice to go back to basics with some natural skin products as a nice little treat to keep things calm and under control. When these cute little biscuits showed up in my mailbox, I thought they looked good enough to eat! 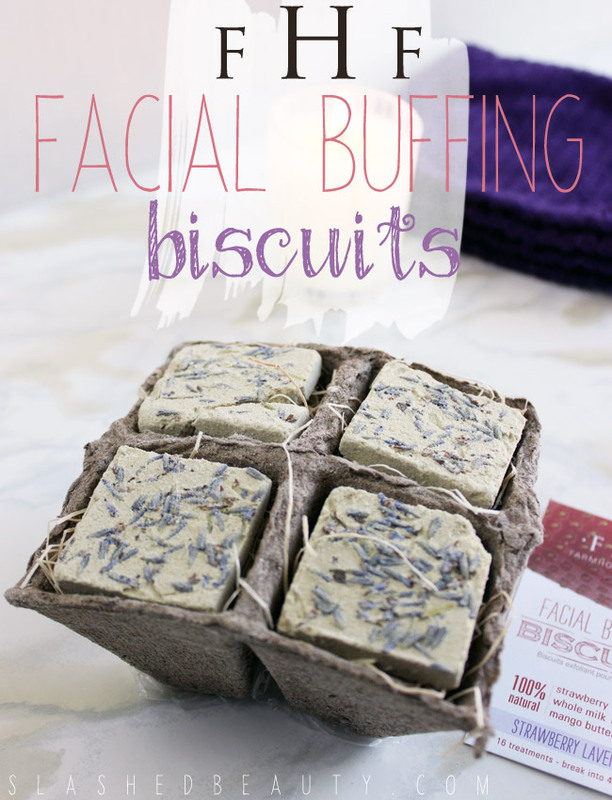 But alas, these are skin food… Facial Buffing Biscuits from FarmHouse Fresh. The carton they’re sold in comes with four biscuits that break up into 16 treatments that can last you about two months. Handmade and 100% natural, these biscuits start off as a solid but can crumble between your fingers and turn into a paste when activated with water. I’ve been using the Strawberry Lavender ones, which contain strawberry extract, specifically targeted for normal to oily skin with its pore-tightening and oil absorbing properties. I’m always more oily during the hot months (and BOY has it been hot in LA! ), so these were perfect to help balance my skin out, especially when I focus the product just on my t-zone. 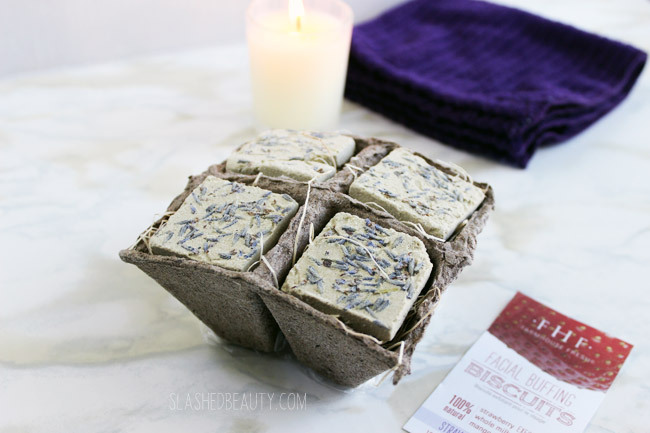 The biscuits also include organic lavender and rice powder to exfoliate, and whole milk and mango butter to moisturize and soothe skin. While the price for just four biscuits leans mid-range ($24), not only will these last you 16 treatments but they are also super multi-taskers, helping to justify the investment. The ingredients and texture lend themselves to be great exfoliants, but the paste consistency lets you use it as a mask, too! After rubbing it into my skin for a gentle scrub, I leave it on for about ten minutes to let the fruit extract and butters sink in to get the most out of the natural recipe. 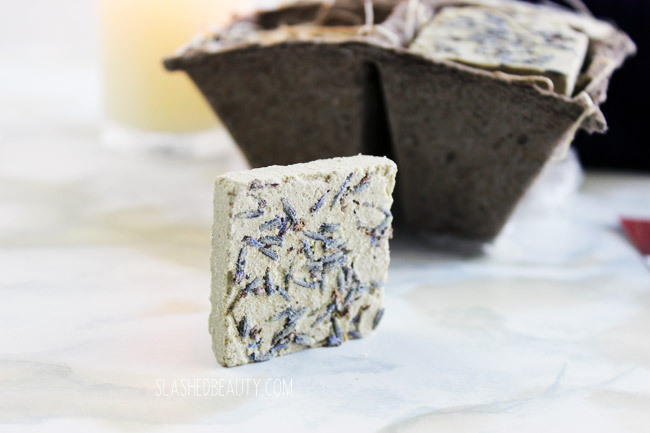 This particular blend leaves the skin feeling tighter since it’s aimed toward oily skin, but there are other varieties targeting different skin concerns like the Mango-Poppy Seed biscuits for acne (I definitely need to try these next), the Tea Cucumber biscuits for toning, and the Burdock & Butter biscuits for moisturizing. As I mentioned, I typically focus the biscuit in my t-zone which has worked well to help balance my combo skin. A cool idea would be to get two different blends to multi-mask, or even crush together to concoct your own custom blend! Pick your flavor on FarmHouse Fresh’s website for $24 a carton. What do you use to treat your skin to something special? These are so cute! I want some! omg these are so awesome looking! I want to try them! I’ve never seen anything like these, and I totally want to try them. I think that’s a great idea to multimask – I think I need these and the acne ones! This looks like such a cool product! These little things are genius. I need them in my life. I’m falling in love with Farmhouse Fresh products. These look interesting too. That looks so nice. I want to try! What a fabulous array of products! I really need to try this brand, it gets such great reviews! Those are too cute to use! I need to try some stuff from this brand. I read nothing but raves. Such an interesting concept for a cleanser. I’m dying to try something from Farmhouse Fresh because their products look and sound so appealing.